Apart from having a unique degree in your kitty, a valuable work experience highly increases your chances of getting employed. This is where internships come into play. An internship gives you an opportunity to put your classroom learning to practice and are building blocks for a successful career. Many big organisations provide internship opportunities for students. An internship is an exchange of services between a student and an organisation. It’s a wonderful way to earn valuable experience in a particular field and also establish a connection with the organisation and maybe also gain references for future jobs. Internships offer you the ability to test your learnt skills under the supervision of experienced employees. Most of the organisations today prefer resumes that illustrate a relevant work history and internships are the best way for students to gain valuable work experience. According to a report by The Association of Graduate Recruiters (Annual Survey 2016) many of the top employers revealed that 36% of their total hiring comprised of interns. Internships are used by many employers as a recruitment tool. Also recently, a total of 63 companies participated in the recruitment drive for interns of a reputed college in Mumbai which shows that more and more companies are looking at hiring interns. Internships give you an opportunity to interact and build a network with people on the same career track, other working professionals, co-interns from other business schools, and if you’re lucky enough, you may get a chance to interact with well-known figures in the business world. It will also teach you how to conduct yourself in a professional environment and help you develop an insight of the way organisations work and the challenges they face. Internships are all about applying your knowledge against real-world problems and learning from those around you. Internships are an excellent way for you and the organisation to figure out if a particular type of work suits you. It will also open your eyes to other roles or positions which you may not have previously considered and so, it is a win-win situation for both the employer and the intern. Why an internship in Sports Management? Due to the rising popularity of sports in India, Sports Management is an emerging field of study where career opportunities are aplenty. Some of the roles that a student pursuing a sports management program can fit in, are – Sports Manager, Athletic Director, Sports Agent, PR Professional, and Sports Mediator. To become a successful sports management professional, it is advisable for students to take up internship opportunities in sports companies. Interning with a sports company will expose students to the real-world perspective of the sports industry, help them plan which segment in sports suit their interest, gain confidence required to sustain in the industry, build network with noted sports professionals, develop a sense of workforce expectations, and you might be able to make some money if you land yourself a paid internship. DNA Networks is the nodal agency and event partner for several Indian Premier League franchisees including Royal Challengers Bangalore, Mumbai Indians, Sunrisers Hyderabad, and Kolkata Knight Riders. It was founded in 1987 and is headquartered in Bangalore. 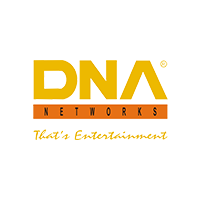 DNA Networks have been the pioneers in producing large format live music events, corporate events since the 1980s and has been highly instrumental in conducting the national sporting events in the country like IPL, Hockey India League, Premier Badminton League, etc. DNA Entertainment Networks provides internship opportunities to students in areas of sports management and event management. 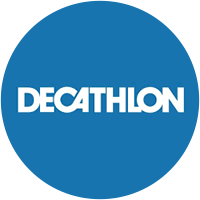 Decathlon is a French sports goods retailer and the largest sporting goods retailer in the world. It has more than 1100 stores in 38 countries, and employs more than 78,000 staff worldwide. Decathlon provides paid internships in many segments like marketing, sales, finance and accounts, logistics, and also in sports management. 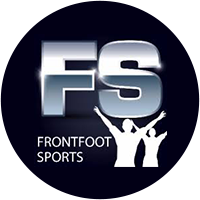 Frontfoot Sports is a premier sports management company based out of Bangalore. Established in 2009, it operates in 5 major cities across India – Bangalore, Delhi, Hyderabad, Mumbai, and Pune. Frontfoot specializes in organising inter and intra corporate tournaments across India. In just 8 years, Frontfoot has already organised more than 200 events with over 20,000 participants, and have a clientele base of more than 600. Frontfoot offers paid internships to students who are looking for an invaluable work experience in sports management. 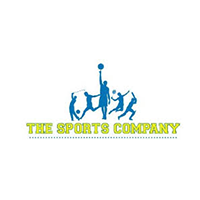 The Sports Company (TSC), founded in 2012, is a sport advisory company that aims at providing sports training of international standards by certified coaches and their services include grassroots training, school sports management, sports personnel management, and event management. The Sports Company, located in New Delhi, gives an opportunity to students to intern under them. The internship will give the students a glimpse of the sports environment and give them a chance to network with sports professionals. 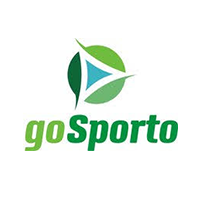 GoSporto is a sports discovery and booking platform that allows sports enthusiasts to discover sports activities, book grounds and courts online, finds sports partners and teams, and track and share their progress through its website and app. GoSporto organises matches, leagues, events, etc to help more than 50,000 amateur sports enthusiasts rediscover the joy of playing sports. GoSporto provides paid internships and candidates selected will have the responsibilities of – scouting for venues and entering into partnerships, organising and managing one-time tournaments, coming up with innovative ways to increase the number of app users, and use various social media tools for promotions. 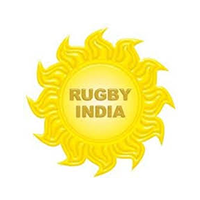 The Indian Rugby Football Union (IRFU) is the sole governing body for the sport of Rugby in India. It has been recognised by the Ministry of Youth Affairs and Sport, Govt. of India. Rugby India offers internships to sports management professionals who will work on grassroots sport development and digital communications management. Star Sports is a group of Indian sports channels owned by Star India which is a subsidiary of 21st Century Fox division STAR TV. Star India is one of the country’s leading media and entertainment companies broadcasting more than 40 channels in 7 different languages. It has a viewership of 700 million every week across India and 100 countries. With Star Sports, Star India is transforming sports in the country by leveraging its strength in superior content and audience engagement. Star Sports is the leading sports network in India and owns 8 channels currently (STAR Sports 1, 2, 3, 4 and STAR Sports HD1, HD2, HD3 and HD4). Star Sports India gives a chance to sports enthusiasts and sports management students to intern under them. 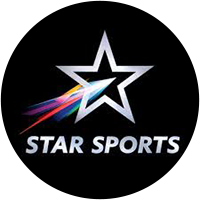 The internship duration will be of 2 months and selected candidates will be joining the sports team at Star Sports. Does the field of sports interest you? If yes, then here’s an opportunity to pursue your passion. MBA ESG offers an Masters degree in Sports Management to fuel your interest in sports and turn it into a profession. And to add value to your learning, you already know where to intern!